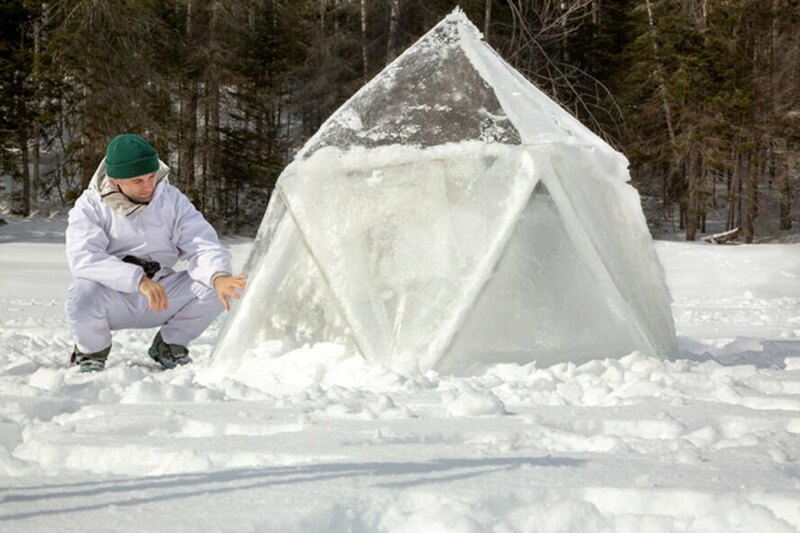 Using a simple triangular frame, a few shovels packed with snow and ice and a deep respect for traditional building methods, New York-based artist and designer Nikolas Bentel manged to construct an igloo in the form of a geodesic dome. 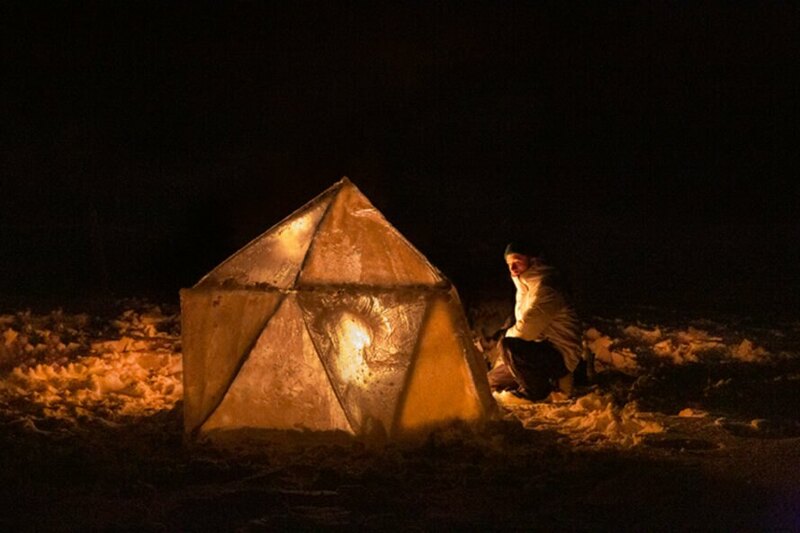 The Geodesic Igloo project was an attempt by Nikolas and his brother, Lukas Bentel, to prove that durable shelters can be built using basic construction methods in the most extreme and inhospitable climates. According to Nikolas, the Geodesic Igloo project is an “architectural exploration blending traditional igloo construction with the modernist tradition of geodesic domes.” The ultimate goal was to prove that using a blend of traditional building techniques and modern forms, durable shelters can be built in the most extreme climates. 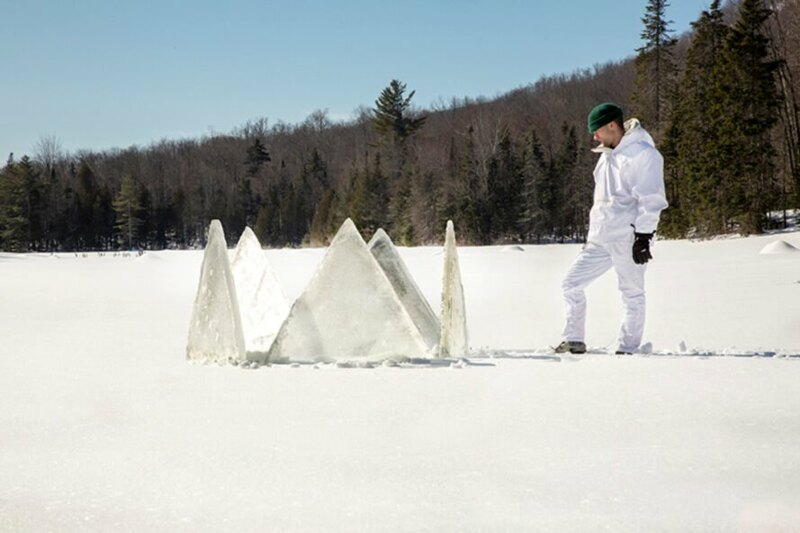 To start, the designers headed to the snowy landscape of Adirondacks in the dead of winter. Considering that a geodesic dome requires only one triangle shape repeated 15 times, the only material that they brought with them to the building site was a frame made up of equilateral triangle forms. 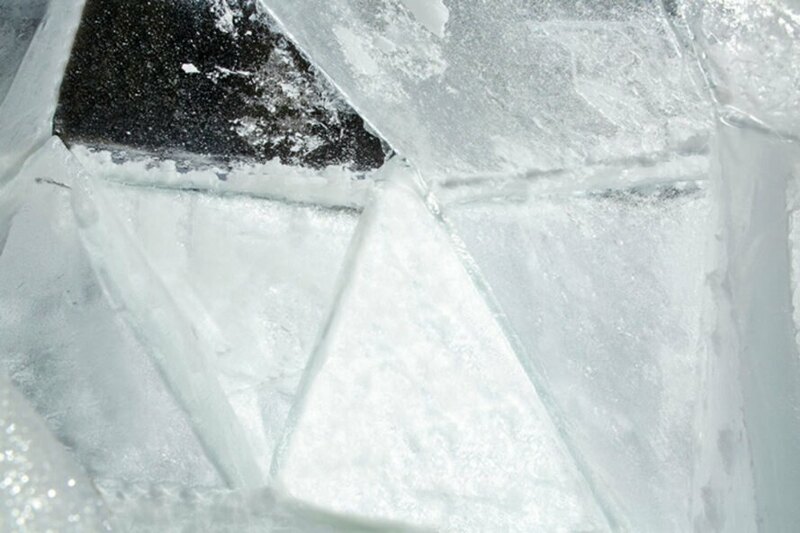 Using the frame to cast the individual triangles, the designers filled the molds with buckets of water. When they were sufficiently frozen, the panels were then fitted together to create a cohesive domed structure. All in all, the frozen structure took just four hours to construct and lasted for almost two months. According to Bentel, the geodesic igloo, which comfortably houses two people, used a fraction of the snow needed to build a traditional igloo. In fact, using thin sheets of ice enabled the structure to be almost completely transparent, allowing natural light to penetrate the interior during the day. At night, it became illuminated beautifully thanks to a warm fire. 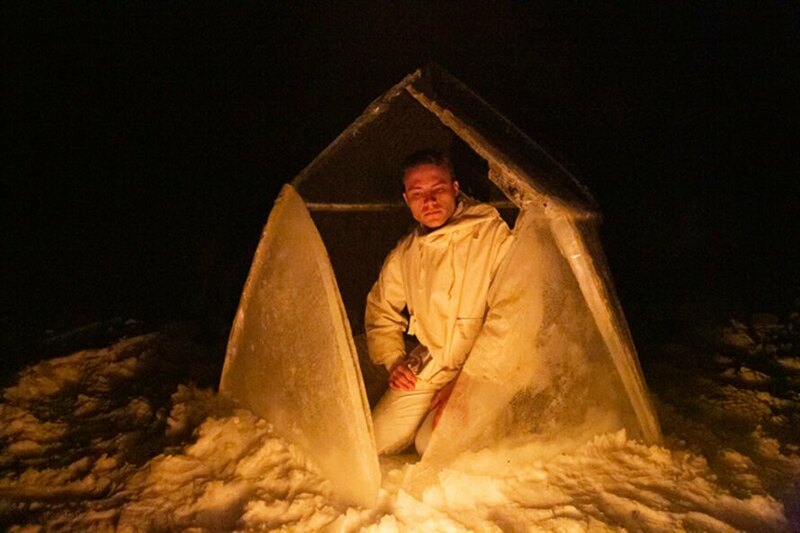 Nikolas and Lukas Bentel have built a traditional igloo using geodesic dome design. The designers used traditional igloo techniques to craft their vision. The Geodesic Igloo project is an architectural exploration blending traditional igloo construction with the modernist trend of geodesic domes. The igloo took only four hours to create. The dome was made by repeating one equilateral triangle shape 15 times. The designers wanted to create a shelter that incorporated simple building technology with material that is readily available. The aim of the project is to show that natural materials can be used in durable shelter construction. The tiny igloo fits two people but can be built to a larger dimension.